To prepare them for this project, the girls research seveal topics that would help them to ask interesting and effective questions to encourage their older authors to remember stories to tell. 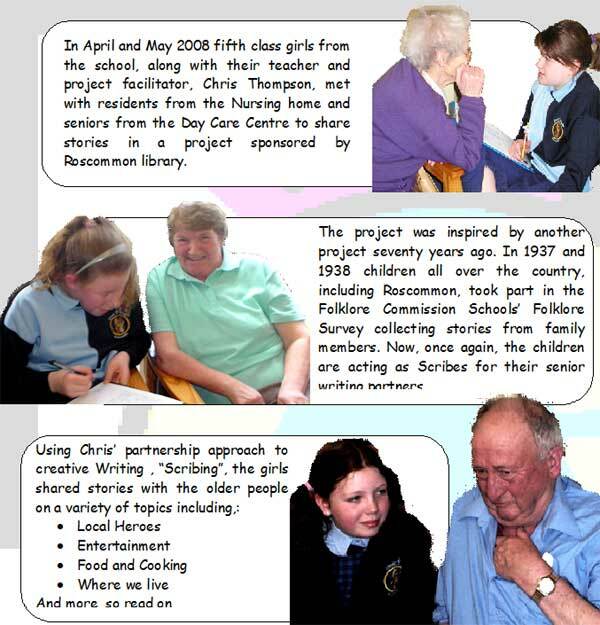 To guide their researches, the facilitator, Chris, brought in materials held in the Local History rooms of the library including classified pages from local newspapers, stories from the Folklore Commission Schools Survey and more. The girls practised their skills as story collectors by gathering stories from each other. They learnt how to be active listeners, asking helpful questions.